The aim on most file-sharing and streaming sites is for users to either download or play content, whether that’s the former to their hard drive or the latter in a YouTube-style window. It should be straightforward but all too often users are presented with an array of buttons, all of which claim to either ‘download’ or ‘play’ when in reality only one actually does anything useful. In conjunction with suspect advertisers, it appears that some site operators are happy to send users down a rabbit hole of frustration. Users pressing the wrong buttons (and there are millions of them) often end up on dodgy sites pushing unwanted software or offering get rich quick schemes, subscription traps, or worse. But now, thanks to Google, their prevalence might be somewhat curtailed on file-sharing sites and other popular locations such as Facebook. According to a new announcement from the company titled ‘No More Deceptive Download Buttons’, Google says it will expand its eight-year-old Safe Browsing initiative to target some of the problems highlighted above. “You may have encountered social engineering in a deceptive download button, or an image ad that falsely claims your system is out of date. Today, we’re expanding Safe Browsing protection to protect you from such deceptive embedded content, like social engineering ads,” the company says. 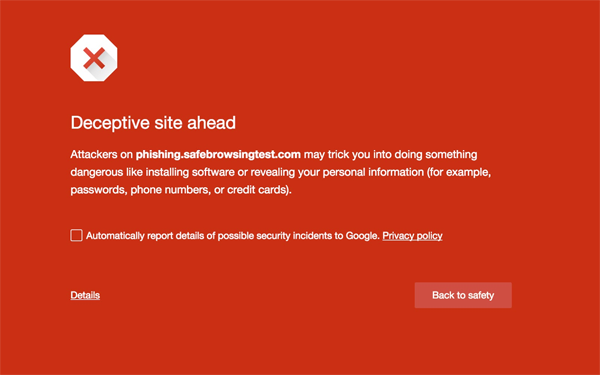 Those receiving protection from Google and its Chrome browser will be presented with a message similar to the one below. In order to qualify as part of a social engineering attack, content embedded in webpages must demonstrate a key feature – an attempt to lure the user into a false sense of security by masquerading as something they would ordinarily trust. For example, content falling foul of Google’s rules would be that which acts or feels like a user’s own device or web browser, or even pretends to be part of the website the user is on. Content that tries to trick the user into doing something it would only normally do for a trusted third-party (such as sharing a password or calling tech support) will also be targeted. 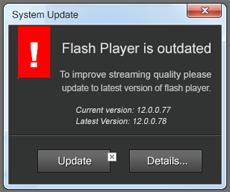 In a recent article detailing sites that employ some of these practices, we highlighted those that mislead the user into thinking they need to update software (such as Flash or a media player) to play a video. Google says that these kinds of techniques will also become a target for its systems. In 2015 Google took action against major torrent sites on at least two key occasions, once in July and again in October. The warning messages were triggered by Google’s “Unwanted Software” scanner which flags websites that pose a potential danger to visitors. The issues were remedied when the sites weeded out some bad advertisers. Google’s campaign will not just affect file-sharing sites though. The same kinds of techniques are being used all over the web and the tech giant hopes to get involved no matter where they appear.